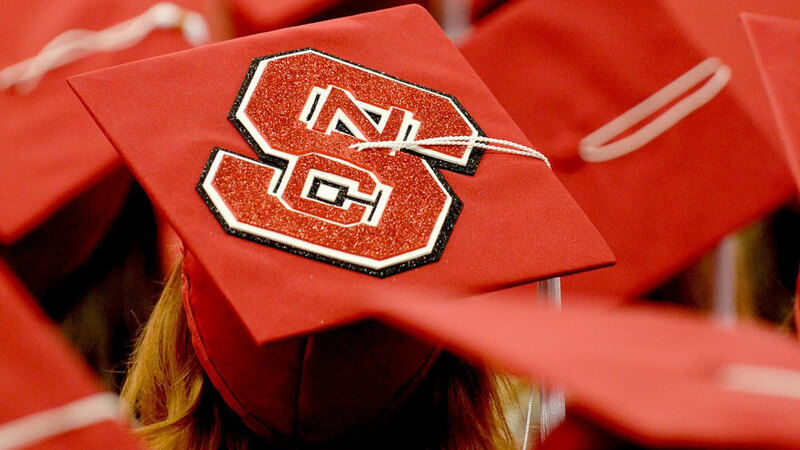 Generous recent NC State graduates made more than 660 gifts to the university, totaling nearly $55,500, during this year’s Recent Grad Challenge. Those are record numbers for the annual initiative, which began in 2012. Recent graduates are defined as those who earned an undergraduate degree from the university during the past 10 years. This year’s challenge ran Nov. 1–24. In addition to providing support for scholarships, research and a host of other programs at NC State, the Recent Grad Challenge also helps provide meals for local families in need, thanks to an ongoing partnership with Clinton-based Prestage Farms Inc. The company agreed to donate 200 turkeys to the Food Bank of Central and Eastern North Carolina if the university received 400 gifts from recent grads during the initiative. The turkeys will be delivered to the Food Bank on Dec. 7. The Prestage family has a long history of philanthropy at NC State. They endowed the Department of Poultry Science in 2012. Bill Prestage, the founder, owner and president of Prestage Farms Inc., was recently recognized with the 2015 Menscer Cup, the NC State University Foundation’s highest award for philanthropy, dedication and leadership on behalf of the university. The success of this year’s Recent Grad Challenge also means there will soon be a new scholarship available for students from underrepresented groups whose major is in the Department of Forest Biomaterials. NC State alumni couple Dustin and Kristin Mountcastle committed $50,000 to establish the Dustin S. and Kristin D. Mountcastle Scholarship Endowment if the initiative garnered 600 gifts. Millie Simmons, who earned a bachelor’s degree in fashion and textile management at NC State in 2014, said the challenge was an ideal way to give back because it tripled her impact — allowing her to support her department, families in need and future students who will benefit from the Mountcastles’ scholarship. Simmons is a member of the Recent Graduate Development Committee, a group of recent graduates who work closely with the Office of Annual Giving to promote positive alumni relationships and alumni giving. For a breakdown of giving by class year and other information about the Recent Grad Challenge, visit www.ncstaterecentgradchallenge.com.